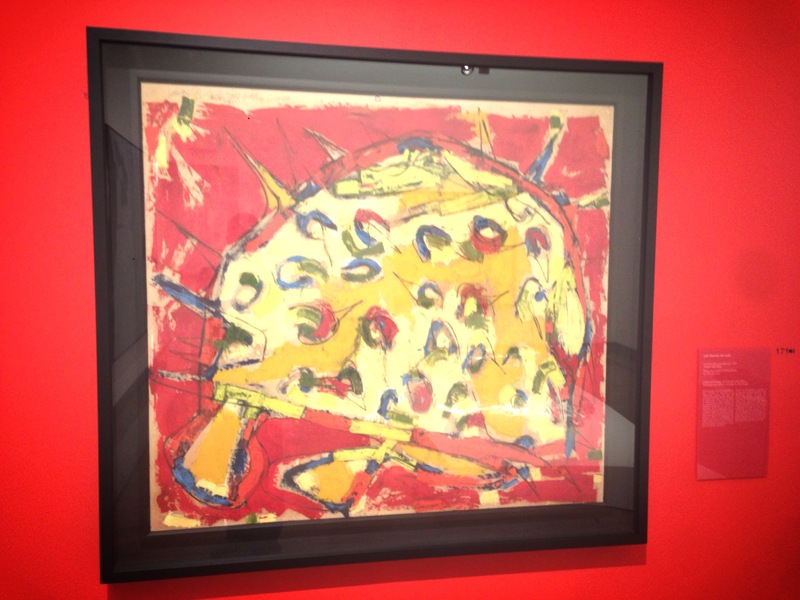 Here is an extraordinary example of a work that combines figuration and abstraction. 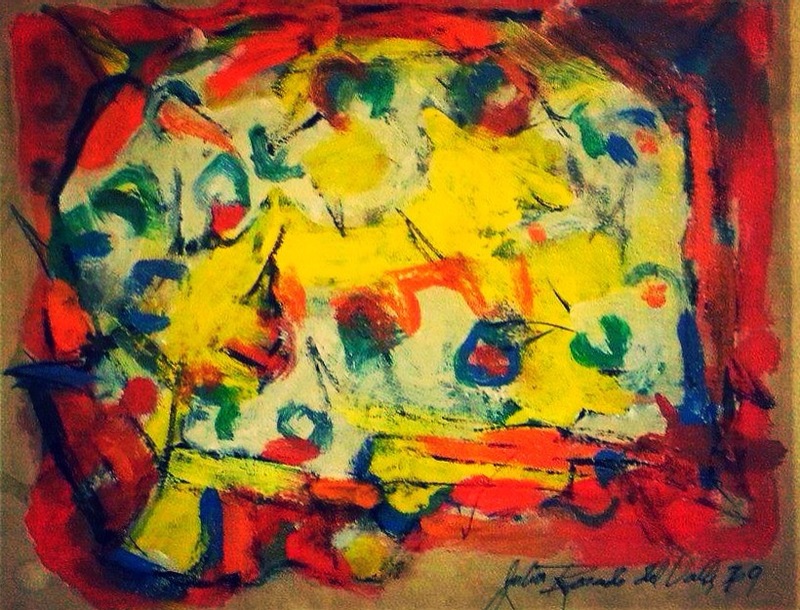 Rosado del Valle was one of the pioneers of Abstract art in Puerto Rico. 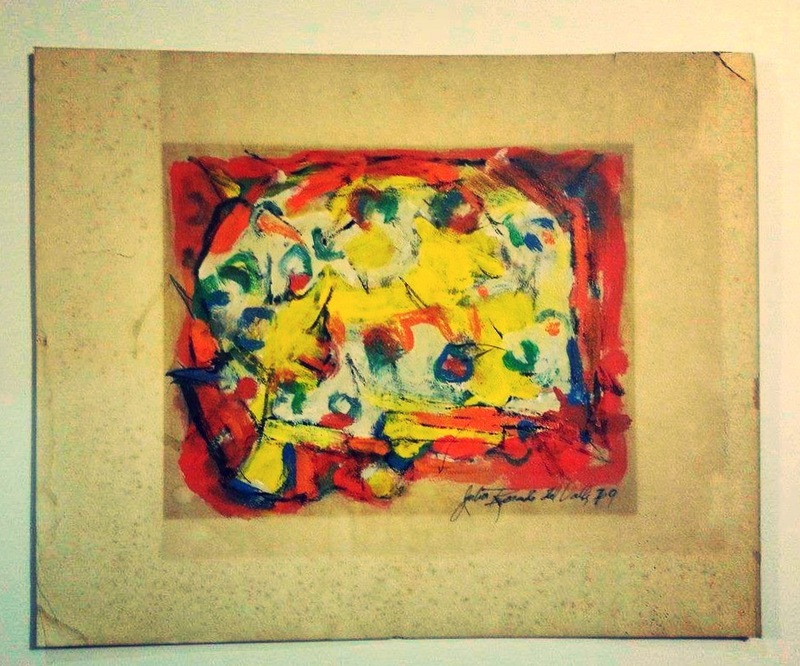 But as the titles show most of his abstractions are based on figurative referents, whether as a result of observation of his surrounding or because the area of color or the brushstroke on the surface of the canvas resembles some real object. 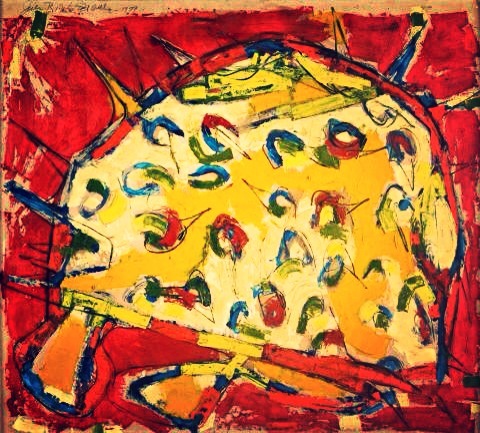 In the case of this work we can enjoy the colors and forms as well as make out the fins, spikes, and even an eye and the mouth of the blowfish of the title. I feel very proud to introduce the next pieces that is surely a special painting for any collection. 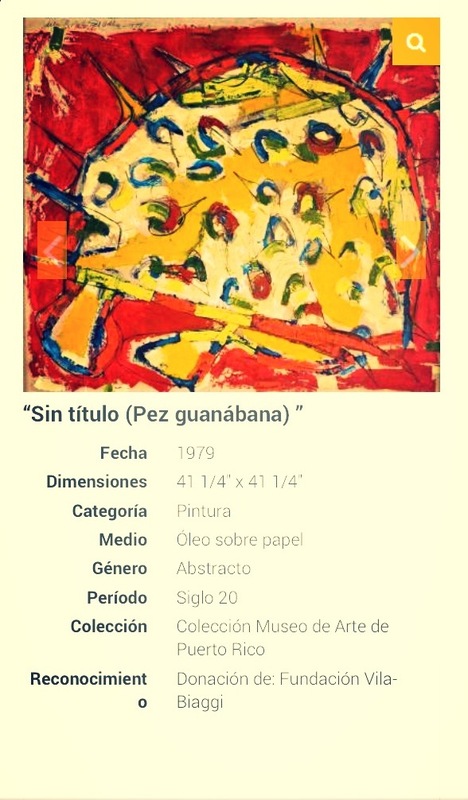 Is the original sketch based on the painting that is located at the Museo de Arte de Puerto Rico called Pez Guanabana from 1979. 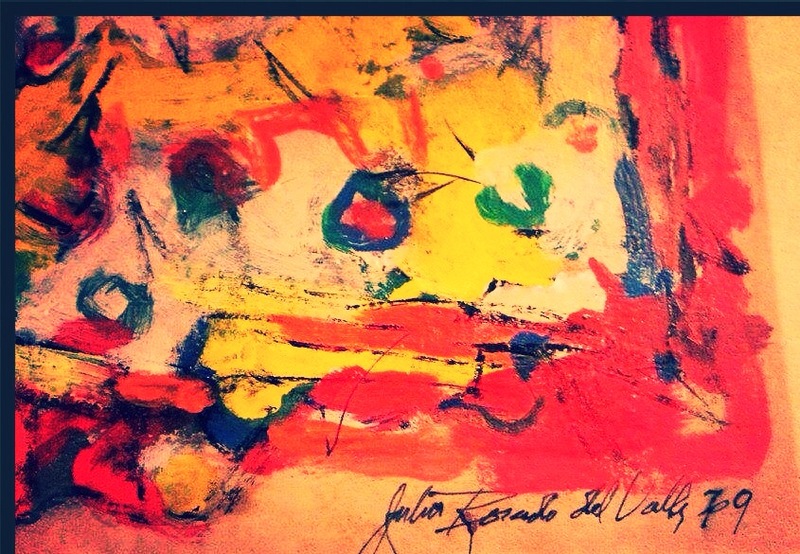 This is a great overview of how Julio Rosado del Valle used to analize a sketch to execute a Masterpiece.